Click on each image or article title to view and/or download. 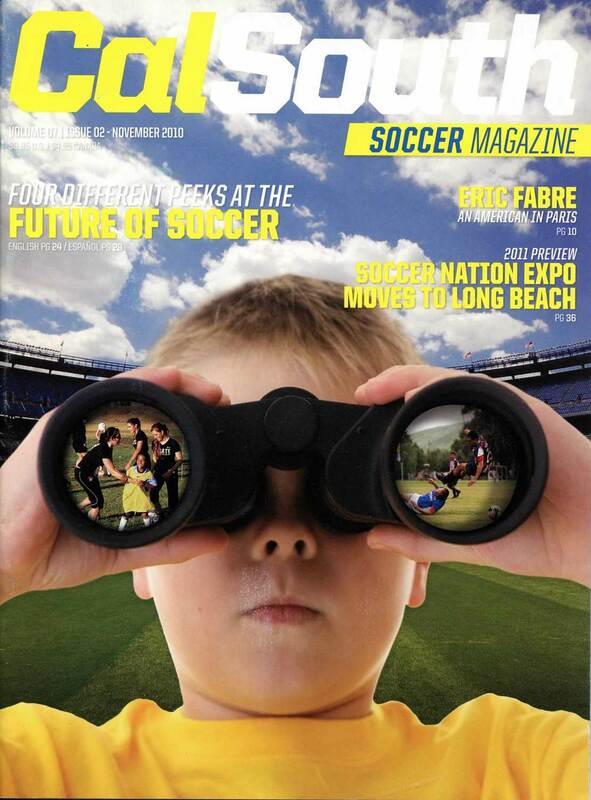 For ten years (2005-2014), I served as the head writer for Cal South Soccer Magazine. I wrote 60-90% of the copy in each issue. I also served as the Managing Editor of the magazine for the last four years, after being an Associate Editor from my start there. Here is a small sampling of articles I wrote for the magazine. "Two-Sports Star Hits It Big"
"The Restorer of Lost Dreams"
* The magazine covers above are for reference only and were not created by me. I only had editorial and writing roles in each issue. As the webmaster and editor of Cal South's numerous websites, I was responsible for writing hundreds of articles. News items, interviews, press releases, team profiles, advertising and contest announcements, biographical text, product descriptions, how-to guides... I did them all. Here is an extremely small selection of articles from my years there.